At the Shiner Law Group, we understand motorcycle accidents are particularly devastating. Drivers who wear protective gear are still five times more likely to be injured when compared to passengers of standard vehicles, according to the National Highway Traffic Safety Administration (NHTSA), and insurance companies notoriously stereotype motorcycle drivers to avoid financial liability. While motorcycle drivers can certainly be at fault, most accidents are caused by another party’s negligence. If you or your loved one has been injured in a motorcycle accident, contact an experienced Deerfield Beach motorcycle accident attorney to discuss your legal rights and options, as you may be entitled to financial compensation. A study conducted by AAA revealed that, as of 2017, Florida leads the nation in motorcycle accident fatalities (~20%), despite motorcycles only accounting for 3% of the state’s registered vehicles. Data collected by the National Highway Traffic Safety Administration shows 40% of motorcyclists who were killed in accidents between 2013 and 2015 forwent a helmet. Florida joins 30 other states that do not require all passengers to wear a helmet, despite data published by the Department of Transportation that suggests helmets are 37% effective in preventing motorcycle accident fatalities, and 67% effective in preventing brain injuries. Motorcycle accident victims can pursue a broad range of damages arising from incidents of negligence, including, but not limited to, medical treatment and rehabilitation, periods of disability, lost wages, or a permanent inability to engage in gainful employment. These types of cases are adjudicated under the negligence standard, which means a percentage of fault can be attributed to both parties depending on their respective breach of the duty of care; however, while claimants must show that injuries sustained occurred as a direct result of a traffic safety law violation, they do not need to show that a duty of care existed. Insurance companies will argue that drivers or passengers who forwent a helmet are comparatively negligible for any injuries sustained, despite acting within their legal right. Furthermore, motorists are required to carry Personal Injury Protection (PIP) insurance coverage in the minimum amount of $10,000. This type of coverage does not apply to motorcycle drivers or passengers. 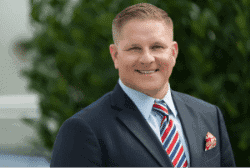 With over 15 years’ experience representing Deerfield Beach victims and their families in motorcycle accident lawsuits stemming from incidents of negligence, our award-winning attorneys at the Shiner Law Group have secured millions of dollars in settlements and verdicts to ensure our clients receive the compensation they deserve. We evaluate the crash site, review relevant documents, question witnesses, reconstruct the accident, and consult a network of seasoned industry professionals to build the most compelling claim. While we make every effort to negotiate a fair settlement outside of court, we are prepared to take your case to trial to fight on behalf of your legal and financial interests so you can focus on what’s most important – recovery.